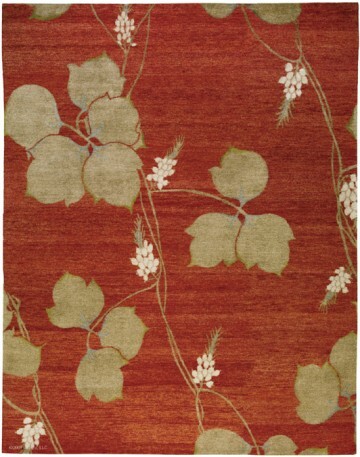 Lapchĭ Arrowroot rug brings a contemporary, Asia-inspired look into the home. Ngari weave features hard twist Tibetan wool with Chinese silk details and variegated texture for added visual interest. Shown here in Terracotta, Arrowroot is also available in Citron, Tin, Stone and custom colors. Like all Lapchĭ rugs, Arrowroot is GoodWeave Certified, ensuring that no child labor was used and sustainability practices were employed in its production.